Another weekend is on the horizon, and the Metro-accessible event we’re most excited about this time around is the Central Avenue Jazz Festival. Now in its 20th season, the event draws thousands of Angelenos to South L.A. each summer to enjoy great music and the unique sense of community that comes from hearing it live. Hosted this year by Councilman Curren D. Price and the CRCD, the festival takes places this Saturday and Sunday from 11 a.m. to 7 p.m. on Central Avenue between Vernon Avenue and MLK Jr. Boulevard. Over a dozen musical groups are scheduled to perform each day on two outdoor stages as well as inside the newly-renovated, historic Dunbar Hotel. Admission to the festival is free, and the atmosphere is family-friendly. Along with a diverse musical lineup and plenty of opportunity for dancing, there will be food for sale (from pupusas to BBQ), a health and wellness pavilion, kids corner and work by local artists. 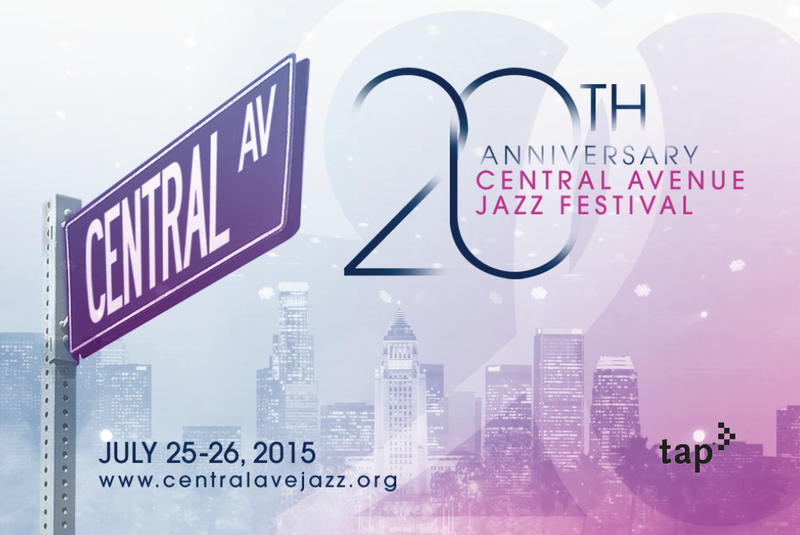 Enjoy the music and get your hands on one of these limited-edition Central Avenue Jazz Festival TAP cards! To Go Metro to the Central Avenue Jazz Festival, hop on the Metro Blue Line to Vernon Station. From there, it’s a 20-minute walk to the heart of the event–at Central Avenue between 42nd and 43rd Streets. For those who want to get some exercise. You can also catch Bus 105 just north of the station on Vernon Avenue. Get off at Central/Vernon and you’re just a five minute walk from the event. Bus 53 and 102 also make stops in the Vernon-Central neighborhood. Special Olympics World Games. The Opening Ceremonies kick off the competition Saturday at 3 p.m. at the Coliseum. Chinatown Summer Nights. Hosted by KCRW and L.A. Chinatown Saturday from 5 p.m. to midnight. Scavenger hunt in Filipino Town!